New Jersey Dad: "Reality Of Autism Is Often Very Grim"
I chose the name of my email account "AutismRealityNB@gmail.com" because, from my perspective, the harsh realities of autism disorders are usually ignored or worse, intentionally misrepresented, by the mainstream media, autism awareness organizations, some high functioning autism "self"advocates and even some parents and autism professionals. An online friend of mine who shares similar perspectives, Roger Kulp, shared an article on my Facebook timeline yesterday which surprised me because it was a commentary published in the New Jersey Courier-Post which presented a realistic view of some of the harsher realities faced by some with autism disorders and their families. 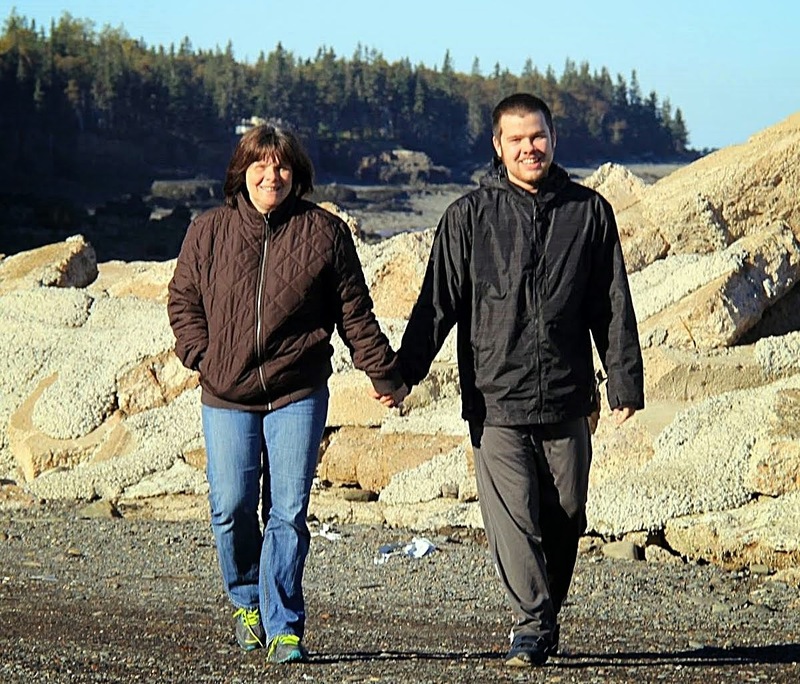 "In the world of autism, the autistic who pens short stories, designs bicycles, plays a mean piano or builds his own advocacy website gets the lion's share of media attention. And it has gotten out of hand. As a result, in the public eye, what was once regarded as a future-annihilating, invincible condition has become just a quirky little detour on the merry road to success. Very nice and very, very untrue." I will not re-post Terminiello's entire commentary here but I strongly encourage anyone who wants a realistic view of autism disorder realities to read it on the Courier-Post. And the next time you read a feel good story about the wonders and accomplishments of the more fortunate with autism remember there are many, many more whose lives, and the lives of their families and caregivers are actually impaired, restricted and shortened by autism disorders. A much higher percentage of people with autism spectrum disorders suffer from epileptic seizures than among persons in the general population. At the severe end of the autism "spectrum" it has been estimated that as many as 39% also suffer from seizures. 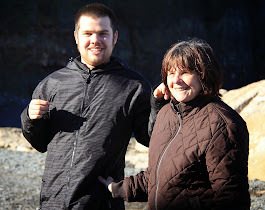 My severely autistic, intellectually challenged son Conor suffers from seizures including tonic clonic known as Gran(d) Mal seizures and almost lost his life last year to an adverse reaction to his seizure med at that time. Among persons with epilepsy there are many risks surrounding loss of consciousness and breathing during seizures. Approximately 1% off persons with epilepsy die as a result of SUDEP, Sudden Unexpected Death in Epilepsy. In the UK the SUDEP Action organization has started a SUDEP Awareness Day, October 23. It has received the support of a UK MP Ed Vaizey. 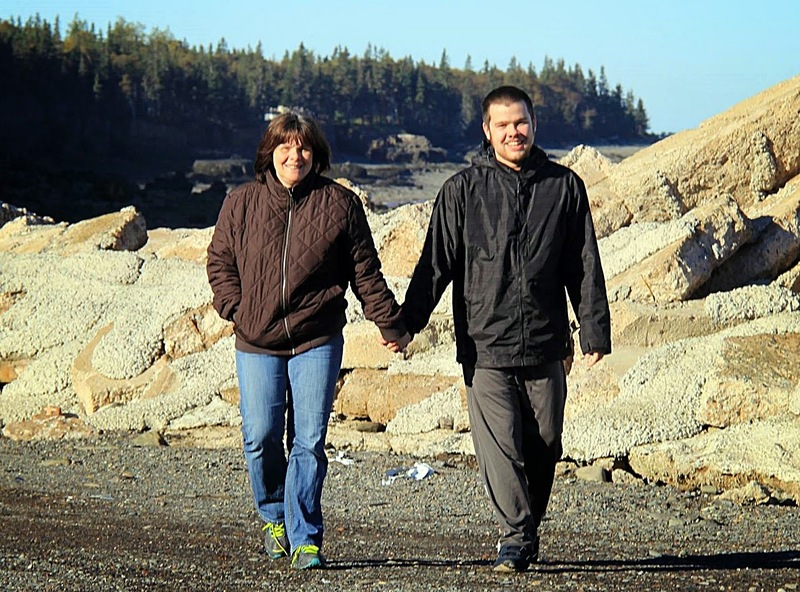 SUDEP is the sudden, unexpected death of someone with epilepsy, who was otherwise healthy. No other cause of death is found when an autopsy is done. Each year, more than 1 out of 1,000 people with epilepsy die from SUDEP. If seizures are uncontrolled the risk of SUDEP increases to more than 1 out of 150. These sudden deaths are rare in children, but are the leading cause of death in young adults with uncontrolled seizures. 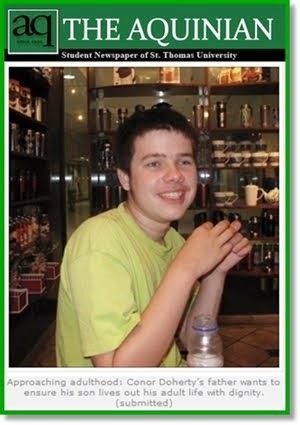 The person with epilepsy is often found dead in bed and doesn't appear to have had a convulsive seizure. About a third of them do show evidence of a seizure close to the time of death. They are often found lying face down. No one is sure about the cause of death in SUDEP. Some researchers think that a seizure causes an irregular heart rhythm. More recent studies have suggested that the person may suffocate from impaired breathing, fluid in the lungs, and being face down on the bedding. Until further answers are available, the best way to prevent SUDEP is to lower your risk by controlling seizures. Paying attention to managing your seizure medications as best as possible, taking them regularly, and preventing seizures emergencies is all part of this. October is autism awareness month in Canada. 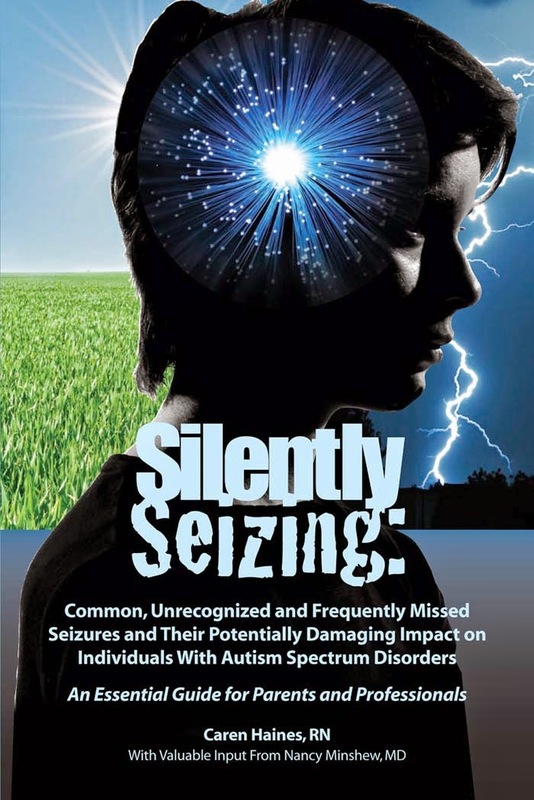 With the very large percentage of persons with autism disorders who also suffer from epilepsy it would be helpful if autism awareness organizations provided information about epilepsy and SUDEP. October, for what its worth, is Autism Awareness Month in Canada. You will probably see performances by persons with Asperger's or high functioning Autism. There will be wonderful success stories and accomplishments shared to give parents hope, in many cases false hope, about their child's future. 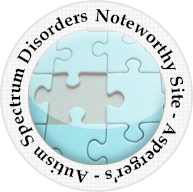 There will be little mention, if any, of the persons who suffer from severe, low functioning Autism Spectrum Disorder. There will probably be little about such serious issues as sensory challenges, self injurious behaviors, meltdown, wandering resulting in injury and death, seizures and other challenges common to persons with autism disorders. You probably will not be told that the World Health Organization estimates that approximately 50% of persons with an autism disorder also have an intellectual disability. Nor will you learn that approximately 40% of those on the low functioning, severe end of the autism spectrum will also suffer from epileptic seizures. You will probably see lots of walks and parades and fun events "to support autism" whatever that means. There will be lots of feel good stories but you probably won't even hear that autism is ...... gasp ..... a disorder, a neurological disorder. 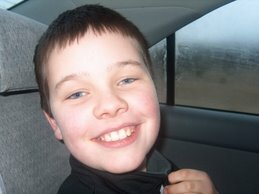 Others may do and say as they wish about autism and pretend their child's autism is a blessing. I find great joy in my son every day and love him dearly. I love him too much to pretend that he does not suffer from his severe autism disorder, intellectual challenges and seizures. 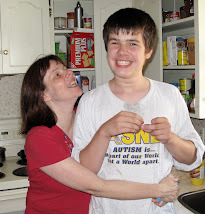 I love him too much to hide his harsh realities under a blanket of feel good autism "awareness" cliches. October is Autism Awareness Month in Canada. 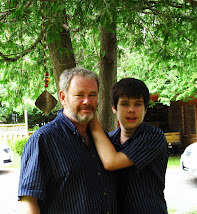 As a father of an 18 year old son with severe autism disorder, profound developmental delays (like 50% of the autism spectrum according to the World Health Organization) and seizures which also affect many with autism I can tell you from personal experience that autistic children become autistic adults. Enjoy your child's early years and student years but do not forget that they will grow up and many will need enhanced adult autism residential care and treatment. 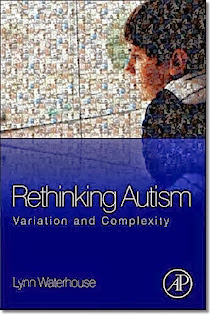 With other parents of autistic children I began advocating 15 years ago for evidence based early autism intervention. 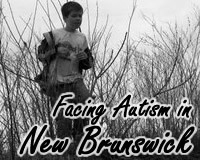 Like those other parents my son did not receive the early intervention services which many autistic children in NB now enjoy. We knew it would not be put in place in time to help our kids, but it was the right thing to do, to advocate first for early autism intervention. 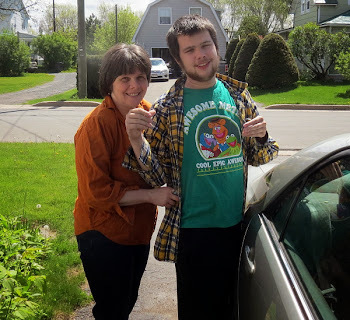 We also advocated for autism trained TA's, education assistants, whatever the term du jour is now, and my son and others did, and still do, benefit from our advocacy as do many other autistic students in NB today. We may have been the early "wave" of parent advocates but we are still part of the picture today particularly in advocating for adult autism care and we ask you to join us but do not make the mistake of thinking we will "step aside". Parent autism advocacy is not a "wave" it is a life long necessity; a life long commitment ... for all of us. Absolutely no progress has been made on adult autism services and I ask parents whose children enjoy the benefits of early autism intervention and student autism services to think ahead and help advocate for the adult autism services our children need and many of your children will also need. 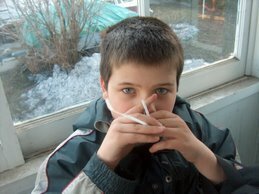 Some have already started advocating for improvements in early intervention and improved autism education services. 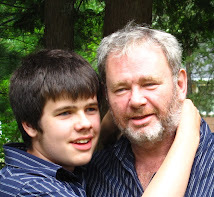 A group has also started a petition and joined the fight for an enhanced autism group home system around the province, as described in 2010 by Professor Emeritus (Psychology) Paul McDonnell, with a residential care centre for the most severely autistic, a centre which would also include professional expertise to assist the regional group homes. The online petition is a good idea and I urge everyone to sign the petition. I also ask you to consider sending a personal email, fax or letter to your MLA. 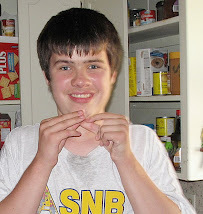 I believe, based on my 15 years of autism advocacy, with the ASNB, personally, and as a legal advocate for some autistic students, resident of a group home and an individual who resided in the Psychiatric Hospital in Campbellton for 4 and 1/2 years, that the personal mail/email communications will carry additional weight. Whatever you do enjoy your autistic child as he or she grows and develops, as you would any child, but please do not forget that many of your children will face complex challenges throughout their lives and will need you as their advocates for as long as you can be of assistance. We can be of assistance to each other if we work together selflessly and for the benefit of our autistic children, adults and family members. After last Friday's dental surgery, followed by nearly a week of 4x a day anti-biotics, and the occasional pain killer to deal with swelling and pain, (in addition to his regular seizure meds) it was great to get out for a Superstore trail walk with Conor on an amazingly perfect fall day in Fredericton yesterday. Conor set the pace as always but had time to be nice to Mom.